Global Fashion Exchange is an international platform promoting sustainability in the fashion industry with inspiring forums, educational content and cultural events. 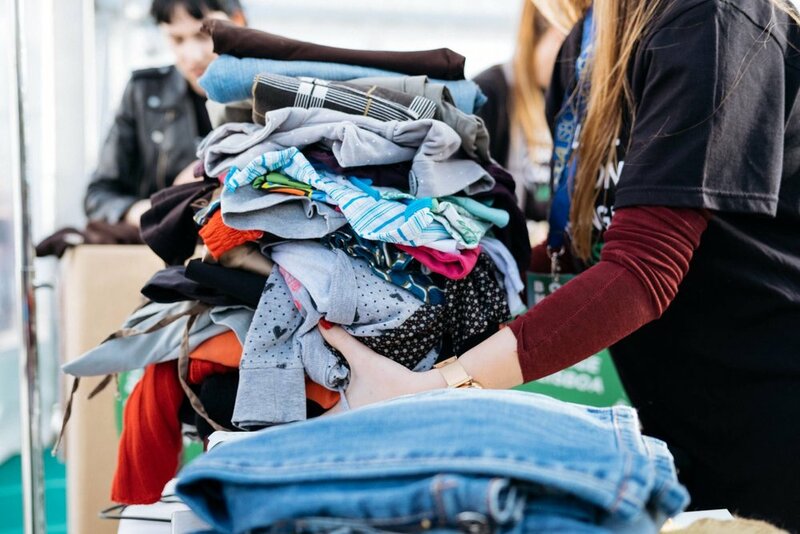 Through interactive clothing swaps GFX empowers consumers to take action for a better environment while they stylishly renew their wardrobe and save hundreds of thousands of clothes from going to the landfill. On average, we wear our clothes a total of seven times, with 2.5 billion pounds of clothing going to landfills each year. This is a scary number, but guess what? YOU can change it! One of the simplest and most sustainable ways to give garments greater longevity is to provide them with a second life with a new owner. This is the mission of the Global Fashion Exchange: To promote sustainable consumption patterns, such as reusing and recycling, around the globe. Working with international cities, brands and nonprofits, we are raising awareness and helping provide tangible solutions to close the loop. Even a small change, will mean a huge impact on a global scale. The Fashion Industry faces many environmental challenges. It is one of the most polluting industry in the world, creating 150 billion units of clothing each year. We all have a role to play in helping make more sustainable choices. From checking the labels to asking where your clothes actually came from, these are simple steps to start making a difference. One of the easiest ways is to give garments a longer life is by recycling them. GFX has given new life to over one million pounds from going to landfills through over 40 events held on 5 continents. This is just the beginning. We want your help to continue to grow this movement. Check our "Events" page for events near you or drop us an email, we would love to hear from you!